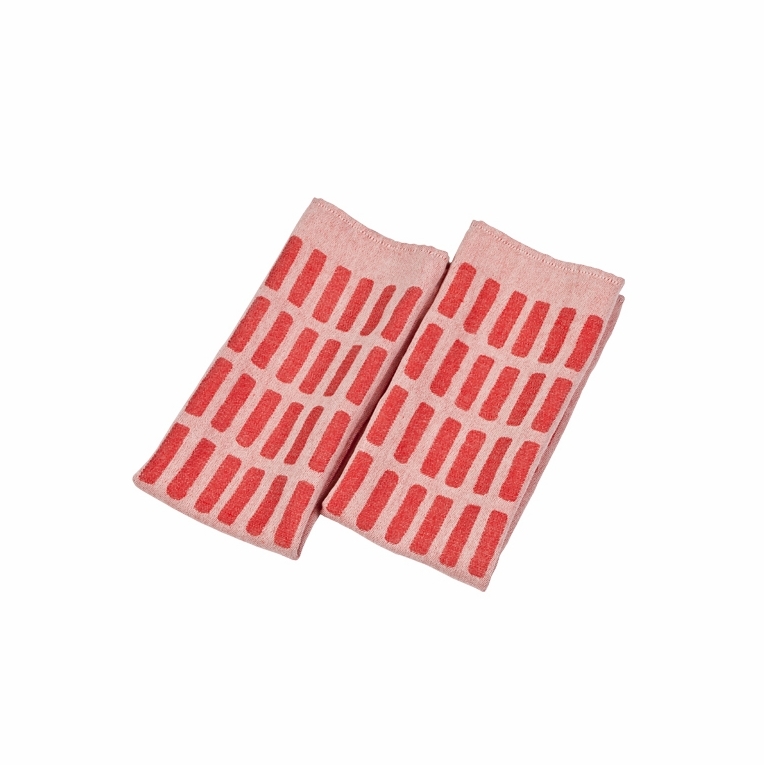 Soft yet architectural, the Artek Siena Red Tea Towels make a bold statement. The soft texture of the unique linen/cotton blend paired with the geometrical pattern creates an eye-catching combination. The absorbent linen-cotton jacquard fabric of these tea towels makes them exceptionally functional and the Siena print in red gives them that famous Finnish style. The Artek Siena Red Tea Towels truly are pieces that you will want to display in your kitchen when not in use.